The Japanese smoking pipe and finely shredded tobacco are examples of how Japan has it’s own unique tobacco culture. Smoking culture originally started in America. Then, during the age of discovery, tobacco spread around the world. It was at this time that tobacco was introduced to Japan. Japan soon caught on to the culture of smoking finely shredded tobacco in Japanese smoking pipes, and there is a record of Tokugawa Ieyasu receiving shredded tobacco from a Spanish missionary . 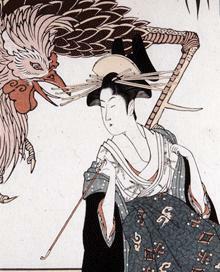 It was in the Edo period that finely shredded tobacco and the Japanese smoking pipe developed into being a unique Japanese culture. In accordance with the Japanese aesthetic sense, things like delicately carved Japanese smoking pipes were made, along with tobacco pouches so that you could carry your Japanese smoking pipe and finely shredded tobacco while walking. 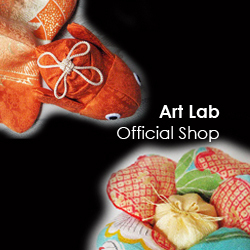 To the people of the Edo period, owning these things became a way for a person to express their individuality. The culture of the Japanese smoking pipe, which was so greatly developed in the Edo period, continued through the Meiji, Taisho and Showa periods, and continues to the present day. 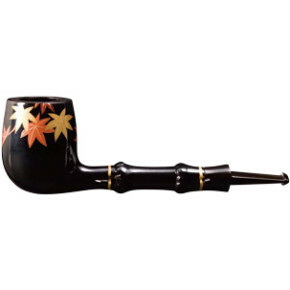 However, with the advent of the cigarette, the number of Japanese pipe craftsmen decreased. 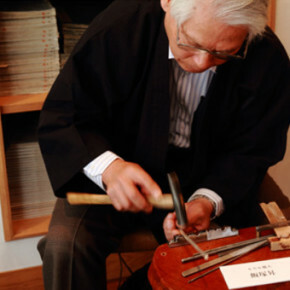 In Tsubame City, Niigata Prefecture, the greatest Japanese pipe craftsman in Japan, Noboru Iizuka, still continues to make Japanese smoking pipes. The Japanese smoking pipes carefully made by Noboru Iizuka, which are expertly handcrafted in the unique traditional Japanese style, contain 200 years of history.